David is a fifth-year PhD candidate advised by Prof. Z. Morley Mao at the EECS department (Computer Science and Engineering division) of University of Michigan, Ann Arbor. He received an MPhil (Master of Philosophy) and bachelor degree (first-class honour) in Computer Science and Engineering from The Hong Kong University of Science and Technology (HKUST). 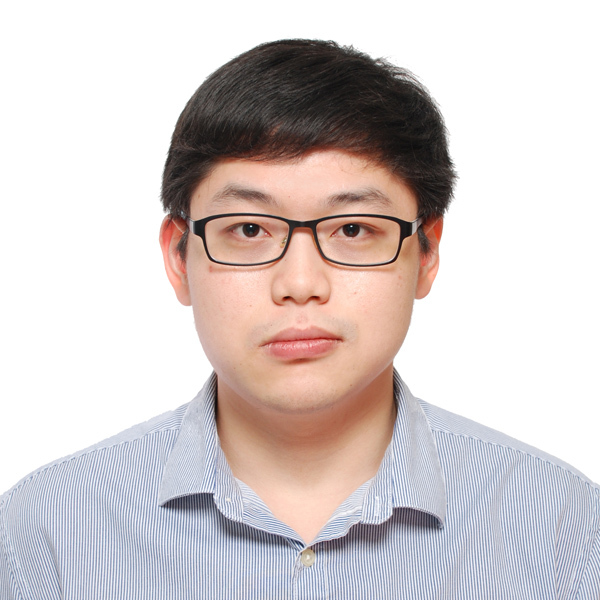 His current research focuses on software performance and security problems for emerging smart systems including connected and autonomous vehicles, smartphones, etc. He also did network and system research in software-defined networking and cloud data centers. Prior to the college study in Hong Kong, David was born and brought up in Chaozhou, a cozy and serene coastal city in the east of Guangdong, China. He spent most of his teenager life studying at Chaozhou Jinshan Middle School. 2) Developed customized program analysis infrastructure for autonomous vehicle software (e.g., Baidu Apollo, Autoware) to discover security vulnerability and policy-based defense solutions to mitigate attacks against autonomous vehicle systems. Soft Network: A software-based switching network for large-scale network emulation. Mark Gordon, David Ke Hong, Peter Chen, Jason Flinn, Scott Mahlke, and Z. Morley Mao. Accelerating Mobile Applications through Flip-Flop Replication. In GetMobile: Mobile Computing and Communications, Volume 19, Issue 3, 2015. David Ke Hong, Ashkan Nikravesh, Z. Morley Mao, Mahesh Ketkar, and Michael Kishinevsky. PerfProbe: A Systematic, Cross-Layer Performance Diagnosis Framework for Mobile Platforms. To appear in Proc. of the 2019 IEEE/ACM 6th International Conference on Mobile Software Engineering and Systems (MOBILESoft 2019). May 25-26, 2019. Montréal, Canada. David Ke Hong, Yadi Ma, Sujata Banerjee, and Z. Morley Mao. Incremental Deployment of SDN in Hybrid Enterprise and ISP Networks. In Proc. of the 2nd ACM Symposium on SDN Research (SOSR 2016). Mar. 14-15, 2016. Santa Clara, CA. Mark Gordon, David Ke Hong, Peter Chen, Jason Flinn, Scott Mahlke, and Z. Morley Mao. Accelerating Mobile Applications through Flip-Flop Replication (Best Paper Award). In Proc. of the 13th International Conference on Mobile Systems, Applications, and Services (MobiSys 2015). May 18-22, 2015. Florence, Italy. Ke Hong, Shuo Yang, Zhiqiang Ma, and Lin Gu. A Synergy of the Wireless Sensor Network and the Data Center System. In Proc. of the 10th IEEE International Conference on Mobile Ad-hoc and Sensor Systems (MASS 2013). Oct. 14-16, 2013. Hangzhou, China. David Ke Hong, Qi Alfred Chen, and Z. Morley Mao. An Initial Investigation of Protocol Customization. In Proc. of the ACM CCS Workshop on Forming an Ecosystem Around Software Transformation (FEAST 2017). Nov. 3, 2017. Dallas, TX. Ashkan Nikravesh, David Ke Hong, Qi Alfred Chen, Harsha V. Madhyastha, and Z. Morley Mao. QoE Inference Without Application Control. In Proc. of the ACM SIGCOMM Workshop on QoE-based Analysis and Management of Data Communication Networks (Internet-QoE). Aug. 26, 2016. Florianópolis, Brazil. Shuo Yang, Ke Hong, and Lin Gu. Poster Abstract: Involving a Sensor Network System in Core Datacenter Management Functions. In Proc. of the 2012 IEEE/ACM 3rd International Conference on Cyber-Physical Systems (ICCPS ’12). Apr. 17-19, 2012. Beijing, China. Ke Hong. A Synergy of Wireless Sensor Networks and Data Center Systems. Thesis for Master of Philosophy. Dec. 17, 2013. Hong Kong, China. Ke worked as a teaching assistant or instructor for the following courses at HKUST and UMich. VRS - Virtual Machine Reservation System. - A Xen-based virtual machine reservation system. - An easy-to-use and efficient in-memory Linux-based kernel logging library. - A network traffic sniffering module inside Xen's hypervisors.